We are licensed to practice law in the state of New Jersey. We encourage you to call one of our attorneys for a free initial consultation. 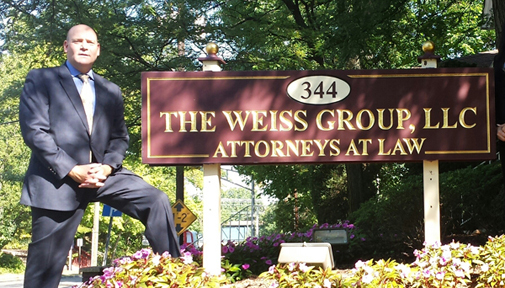 Leonard D. Weiss, Esq., certified by the Supreme Court of New Jersey as a civil trial attorney, founded The Weiss Group, LLC, Attorneys at Law (“TWG”) in 2010. He created a firm that caters to clients’ needs, on a professional and personal level. 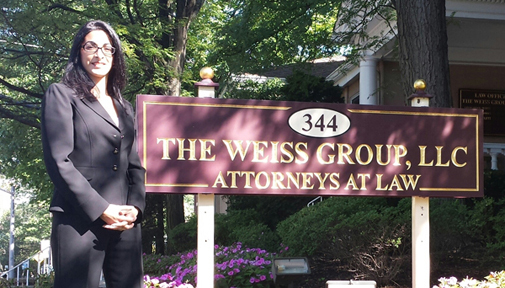 Len was a 50% partner in Metuchen’s Baer, Arbeiter, Ploshnick law firm from 2000 through August, 2010. That firm’s beginnings date to the late 1960’s, at the same location where TWG is today – 344 Main Street, Metuchen, New Jersey. He began working here in 1990 with David M. Baer, Jay D. Arbeiter and David L. Ploshnick. Len practices civil and municipal court litigation. He concentrates on helping clients injured by the fault of others to recover compensation for injuries arising from auto/motorcycle/trucking accidents, medical malpractice, legal malpractice and other professional negligence, personal injury, liability against bars, clubs and taverns for serving too much alcohol, and for injuries that occur on and off the job. He litigates with insurance carriers for improperly denied claims including, UM/UIM, PIP and disability insurance. He also defends against traffic tickets that can carry serious consequences such as drunk driving, and handles other municipal court matters including driver’s license suspensions, reckless driving, speeding, drug possession, municipal ordinances, assault, harassment and theft. Len takes pride in the many personal relationship he has cultivated with clients over the past 20+ years. He insists on promptly returning clients’ calls and emails and remaining easily accessible. You can contact him as needed, confide in him, and trust in his judgment to guide you through your most difficult circumstances. Len graduated from Cook College, Rutgers University in 1986 and Seton Hall Law School in 1989. He is a proud member of the American Bar Association (ABA), New Jersey Association for Justice (NJAJ), New Jersey State Bar Association (NJSBA) and Middlesex County Bar Association (MCBA). He also serves on the Middlesex County Civil Practice Committee which discusses administrative issues of the county courthouse, and is a bar panel member in Middlesex County mediating civil actions. I’m admitted to practice law in NJ, NY, and Washington, D.C.
Our rates are extremely fair and we are confident that we can help you. Please call for a free consultation. Marysol Rosado Thomas, Esq. is a Spanish speaking litigation associate, focusing her practice in matrimonial/family law and personal injury. She handles divorces, child custody disputes, child support and spousal support disputes, final restraining order (FRO) hearings, and post-judgment modifications. She is admitted to practice in New Jersey and the United States District Court for the District of New Jersey. Marysol graduated from Rutgers College, Rutgers University in 1999 with a Bachelors Degree in Administration of Justice. Marysol graduated from New England School of Law, earning honors throughout her academic career, including Deans List and the CALI Excellence for the Future Award in the area of Domestic Violence. She was a member of the New England Law Review and is the published author of: Sign on the Dotted Line: Enforceability of Signed Agreements, Upon Divorce of The Married Couple, Concerning the Disposition of Their Frozen Preembryo’s, which has been referenced and cited by scholars and judges. Upon graduating law school, Marysol served as a judicial law clerk for the Presiding Judge of Mercer County, Family Part, The Honorable Jane Grall, P.F.J.C. Thereafter, she focused her practice in matrimonial/family law and litigation. Currently, Marysol is a member of the New Jersey Hispanic Bar Association and the New Jersey Women Lawyers Association. Marysol is also a member of the Central Jersey Legal Services Volunteer Attorney Program.